A few months back I wrote about one of the groups Jon Ludtke played in after Silver Laughter broke up. 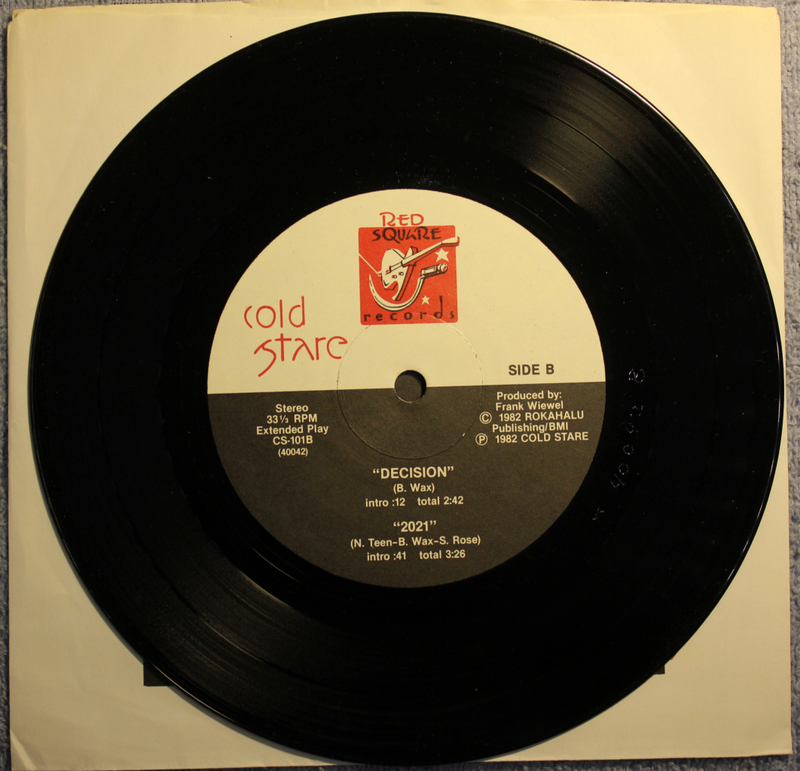 Both sides of the “picture” cover of their EP (Extended Play) were featured at that time. Carl was kind enough to scan and send me both sides of the actual vinyl itself. 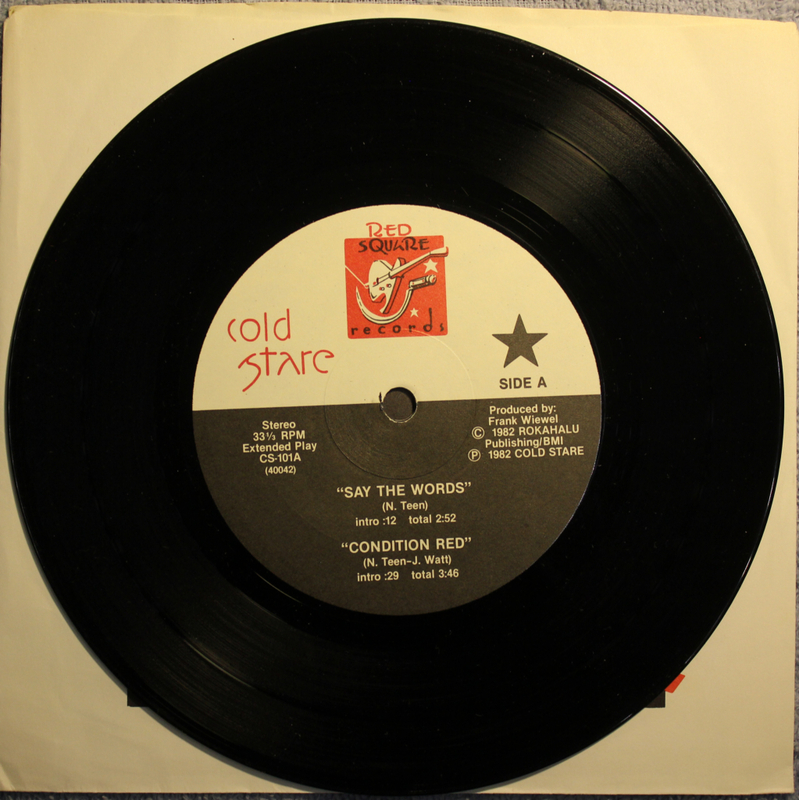 As far as I can tell, Jon (Jonny Watt was his alias for this New Wave band) co-wrote only one of the songs on this record, “Condition Red”. Extended Play is the same size as a single (45 RPM) which is 7 inches, but it has a small center hole and plays at 33 1/3 RPM like an LP.